The closest parking garage is operated by SP+ Parking and is located at 25 W. 48th St. Rainbow Room and Bar SixtyFive do not validate parking. B D F M TRAINS:Take the B, D, F or M train to the 47-50th Street Rockefeller Center stop. 1 TRAIN:Take the 1 train to the 50th Street stop and walk east on 50th Street to Rockefeller Center.6 TRAIN:Take the 6 train to the 51st Street stop and walk west on 50th Street to Rockefeller Center. 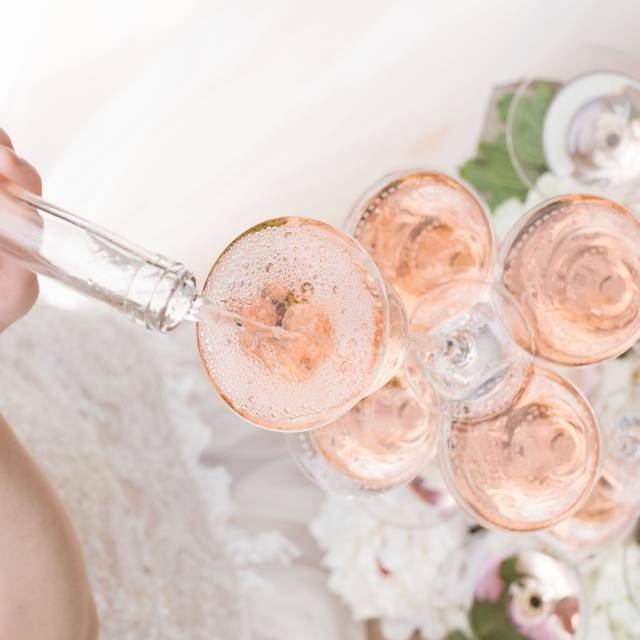 Bubble Bar’s mission to revolutionize the way we think about this “aspirational drink” will be fulfilled through a variety of champagne offerings including whimsical champagne cocktails, curated flights and champagne-infused tipsy treats. Come drink, sip and savor on special April evenings. 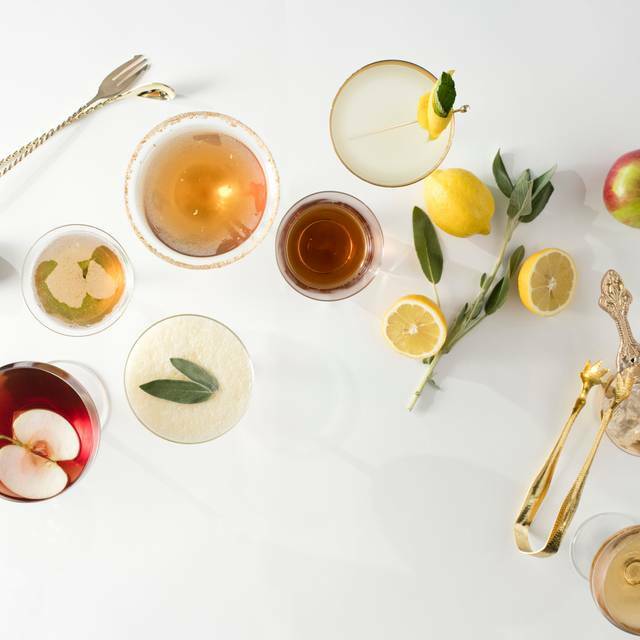 Whimsical champagne cocktails. Unbelievable food pairings. Fantastic views. Come experience the Bubble Bar! 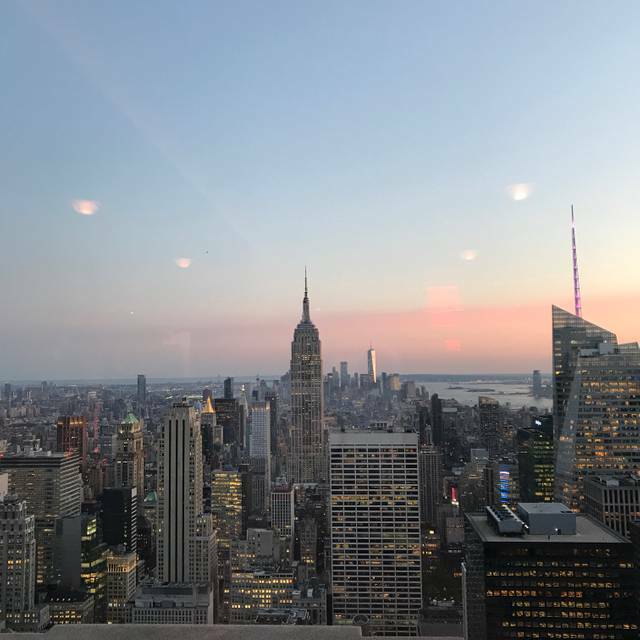 Very touristy but still remarkable, the champagne bar at the Rainbow Room as out-of-this-world views. The setting is spectacular and the champagne is overpriced but it is a special occasion type of place. This was a really great popup. Beautiful view. I would definitely attend again. Worth the view! Although the service was lacking, our cocktails snacks, and the setting made up for it. Stunning view of the city skyline at night. Excellent experience with amazing city views. Far better than to of the rock! You can have your drink along with the views! Makes perfect sense! 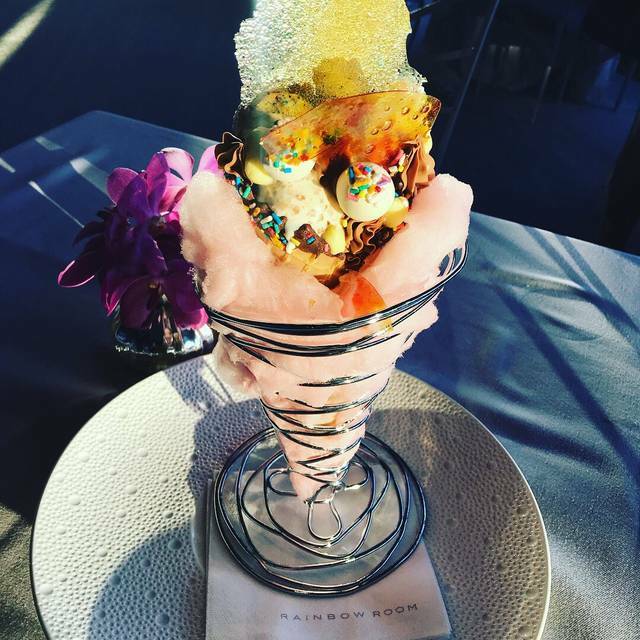 We tried the pop up Bae Bar in the Gallery of the Rainbow Room. The cocktails were very high quality, the service was prompt and friendly, and the salmon platter was a good surprise, and great value for the money. Prices are NYC usual ($18-20 for a cocktail), but this is a special place, and is worth it for a special evening out. Great place for a date or birthday! Awesome view and drinks. my girlfriend said this was the best birthday she has had in a while. it was unfortunate we couldn’t see the view because of the view. so it calls for another trip back. the quinoa sliders were amazing. not being a fan of wine, I sure enjoyed my choice and my girlfriends as well!!!! Unfortunately it was rainy when we went so we didn't see anything. However the ambiance was lovely. Really great! Even though the view was obstructed due to weather. We had a great time. The place had hardly any people, so it was surprising how incredibly slow the service was. Great view and ambiance. I only had a drink, so cannot comment on the food. View spectacular but tables placed in front of solid concrete panels made it difficult to enjoy unless standing up. Food was exceptional, especially the small plates. We will come back next time we are in NYC. 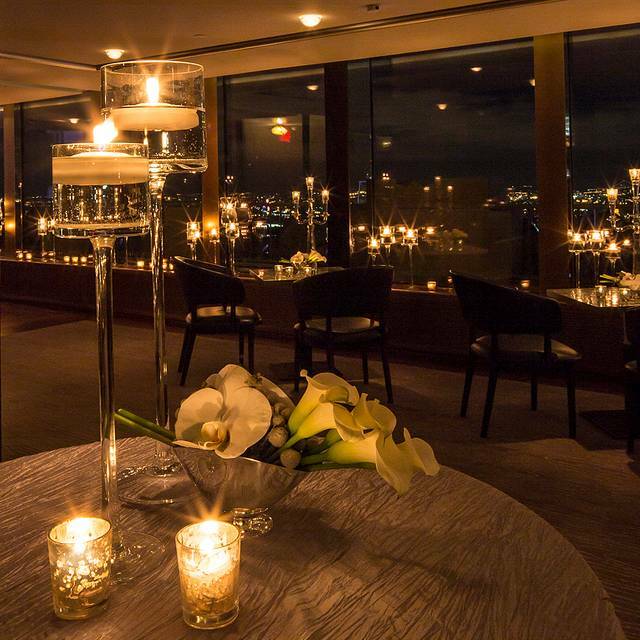 The autumn pop up bar at the rainbow room was nothing short of spectacular. The views are incredible, even on rainy nights. The food was delicious, the drinks were fall themed and wonderful. The service, was great, as expected. The whole experience was perfect from the moment we arrived at check in until we left. Would definitely recommend! Food was completely forgettable, as were the drinks, view was obstructed and prices way too high. Skip the trip! We had the best time at the Harvest Moon popup bar. It was a perfect place to spend the last evening of our honeymoon. The space was beautifully decorated, the drinks were fun, gorgeous & seasonal. And don’t forget, that view!! It’s a bit spendy but totally worth it. Fall Pop up bar was amazing. The view was amazing & very romantic. Flowers on the table were lovely. The champagne w/ maple syrup was wonderful. Everyone else enjoyed their wine. We ordered slowly. Started with the short rib sliders which came w/4 & fries...perfect. Had the oysters Rockefeller they were very good on a bed of spinach & sweet plantains. 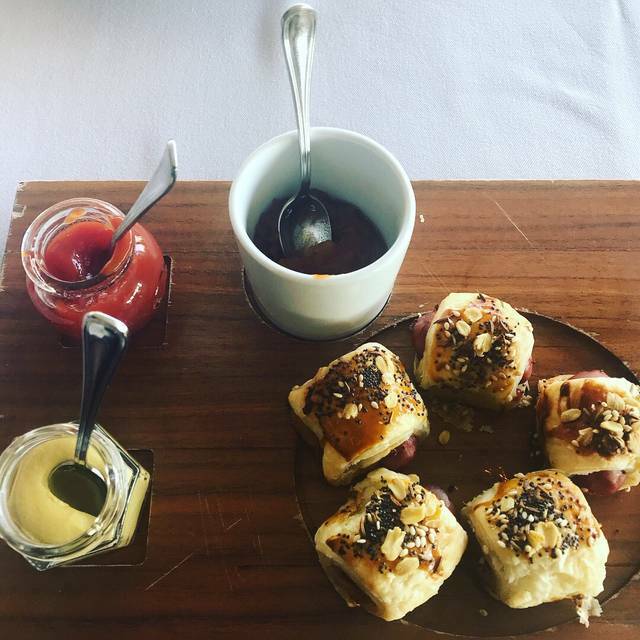 Next was the Kobe pigs in a blanket. They were served w/ mustard, ketchup & NYC frank sweet onions. Delicious & the presentation was great. Next was the seafood sausage served as a lobster roll w/fried lobster pieces on the side. The dipping sauces were a great addition. We were full after sharing 1 desert. We took a peek in the sixty five bar. Pretty view & very lively. Liked the pop up bar better. Great ambiance and decorations. The menu from cocktails to food were done correctly. It screamed seasonal...pumpkin and apples! Would do this again any day. Spectacular views of NYC!!! 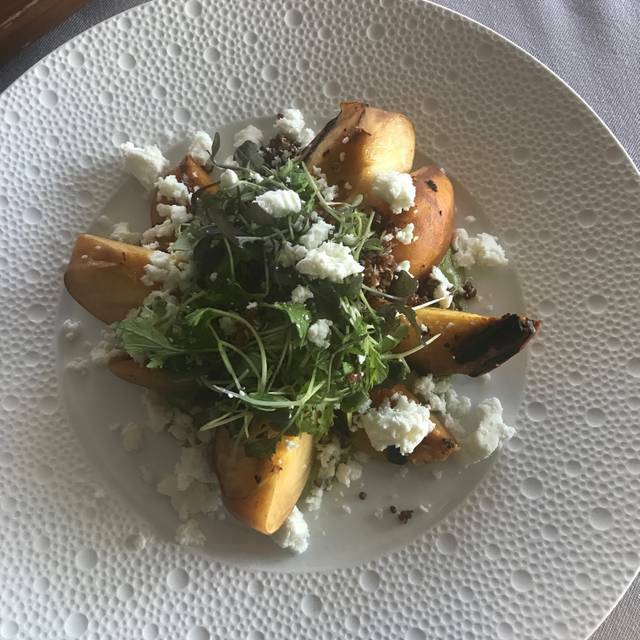 Service and food are as great as the view of the Empire State Building. A polished and pleasant arrival to this Harvest Moon popup. 3 stars for service only as a result of our server’s lack of interest in walking us through the menu/making recommendations/ returning to check on our satisfaction once drinks & food were delivered. Not quite the experience we were anticipating but the view and Big Apple cocktails kept us smiling. Our small bites included the “clam chowder” and cod sandwich- yummy punches of flavor. Great experience. Happy we went! The view was breathtaking. So romantic!!! Can't beat the view, service, and menu. Smoked salmon platter is a must as are the short rib sliders and deviled eggs. The service was impeccable. We were seated promptly and the service was great. We had Rose flights which come a 3 flights and they were tasty. We also ordered a few apps including the cod, crab, lamb sliders and chips and dip. Between the 4 of us it was more than enough food. Will definitively visit again. Beyond our expectations! Wait staff anticipated our every need. Made my birthday celebration a very special treat ! For the price this Pop-up was a let down. It didn't have much along the way of Rosé Decor. The view was nice. Prices were very high, which was expected. One of our meals (Lobster Negroni Salad) was $25 which tasted great for the 2 small bites it was. Bit into the de-shelled lobster claw to find a large unexpected shell, which was of course an immediate turn off from even wanting to eat the dish. Since the server wasn't nearby I just made sure to cut the itty bitty pieces of claw meat into even smaller pieces and then search for more shell with my fingers. When the server finally did come over I showed him the large piece of shell that I bit into before he took my plate away. He said sorry, rushed away...then crickets. No management came over, no new plate, no discount. Not what I would expect at a place like the Rainbow Room where you are paying a premium. Incredibly disappointed and I feel totally cheated out of my money. I was not in the mood to pull a manager aside before leaving, as I was very upset and didn't want to make a scene. I had a great time.. I loved the ribeye sliders an lumb Crab Toast! Just..meh. Summer is for Rose' and this pop-up bar seemed like the perfect fit. Since the pop up bar is Rose' themed, I expected a bit more from the decor. The Rose was good and the cocktails looked great, but this experience could have simply just been in any regular banquet hall with a good view. Go to say you went if you're into that, but I've cancelled my remaining reservations. The Rainbow Room treated me like royalty for my birthday! It was a perfect choice. 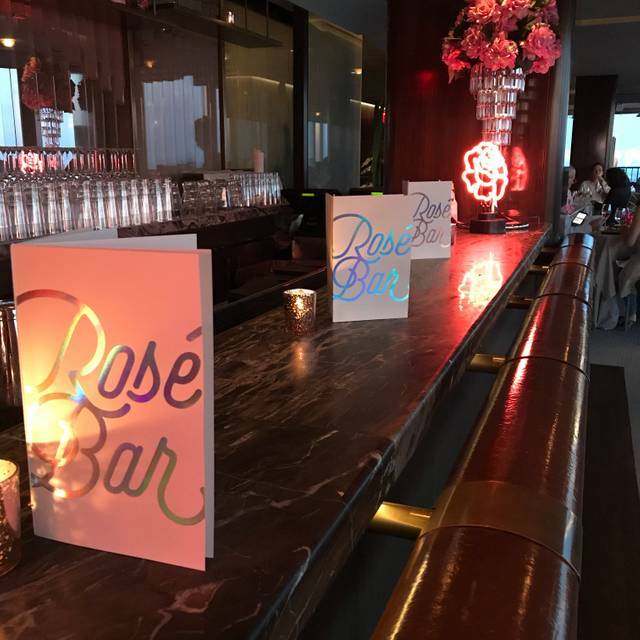 We enjoyed the popup Rose bar. Staff was outstanding - had a slight time change last minute and they very, very professionally handled it! Fun pop-up concept, really enjoyed the tasting flights, and of course the view was beautiful. There could have been some more thought put into the overall decor but knowing this is a pop-up I understand why it was minimal. Our evening was delightful! The Rose Bar cocktail and wine menu was more extensive than I imagined with beautiful pink cocktails and a great selection of roses. The evening was festive, the view was spectacular, our waiter was excellent and the food was perfect. One of us had a full dinner, one an excellent burger, and two of us enjoyed small plates that were well presented. To the already special and fun evening we were having was added the surprise entertainment of a very talented candy artist who created sugar lollipops for all the guests upon request. 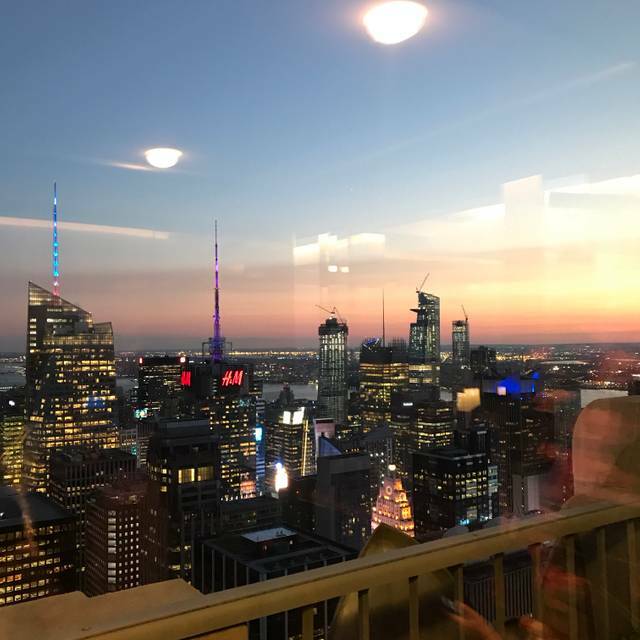 I would highly recommend seeking out the Rose Pop Up Bar at the Rainbow Room this summer for a date night or night out with special friends. Whomp whomp. I thought it would be fun and lively. It was such an overpriced snooze fest and the drinks were too sweet or the flavors too overpowering. They tried...we left after one drink. Loved our beautiful visit to the Rosé bar! We found this gem online as an alternative option to going to see the top of the rock, and it did not disappoint! Dreams really do come true! Incredible experience. Incredible drinks and food. Sooooo much fun!